Home / brand new / Cautious Clay / música / Cautious Clay Unveils New Single "Honest Enough"
Cautious Clay Unveils New Single "Honest Enough"
Brooklyn-based alt-R&B/Soul producer and multi-instrumentalist Cautious Clay has just unveiled his brand new single Honest Enough, a track that details the cycle of drama in personal relationships. 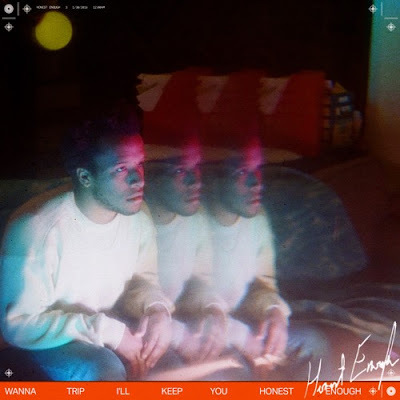 I am a fan of Cautious Clay's smooth and hypnotic vocals and he sure knows how to hit those high notes.Taken from his forthcoming EP, Honest Enough is an emotional piece with infectious melodies and deep, meaningful lyrics that detail the cycle of drama in personal relationships, showing how we cast blame, hide from confrontation and sometimes stay too long. I am completely hooked on this song thanks to its smoothness and effortless flow. Stream it below!